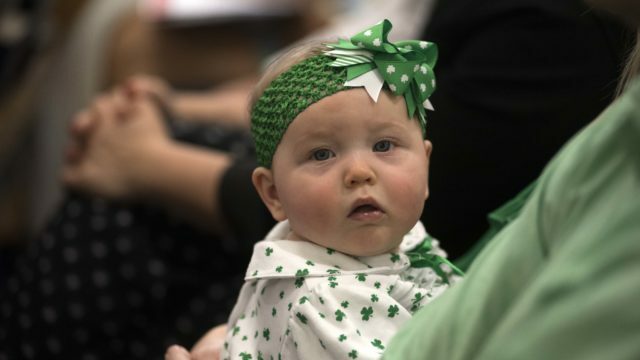 The two most popular baby names in San Diego County in 2018 were Liam and Emma, the county Health and Human Services Agency announced Thursday. Emma led all other names with 264. Among girl names, Olivia was second with 235, according to the county, with Mia, Isabella, Camila, Sophia, Sofia, Victoria, Mila and Charlotte rounding out the top 10. Liam led all boys’ names with 242, followed by Noah at 202. Other top 10 boy names were Sebastian, Mateo, Benjamin, Daniel, Ethan, Oliver, Alexander and Logan. It was the third consecutive year in which Emma led all girls’ names and the second consecutive year that Liam led among boys. Noah has placed either second or first among boys’ names in each of the last four years, according to county data. Nationally, Liam and Emma were second and third, respectively, among names for boys and girls born in 2018, with Jackson and Sophia topping the list, according to the parenting website babycenter.com. In total, 41,555 babies were born in San Diego County in 2018. Of those, 21,313 were boys and 20,242 were girls.